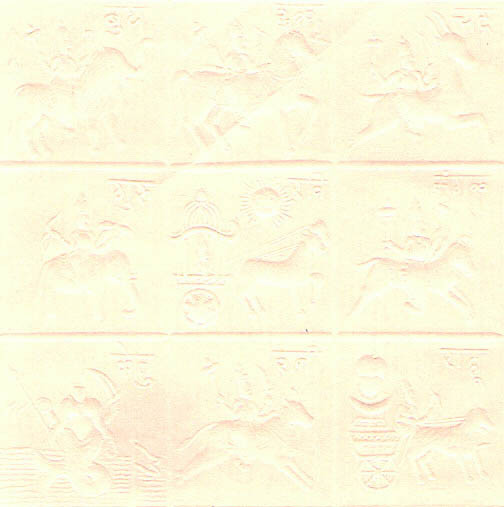 You can not easily trace an Aquarius (kumbha) person in any public functions. When you visit a library or a forum for certain social cause, you find him at the center of the gathering being appreciated by everybody. He is the person behind the scene. He does not want to waste his precious time in gambling or drinking or partying. If it is an official party where he heads the delegation, he is not at ease, but keeps up the dignity of his employer. Prestige and dignity come first to him. He is of medium built. He sways his head sideways or looks at a remote object while in conversation. He does not have any peculiarities you can find at the first sight "Like a turtle", you would realize later on, "he hides more and more". The way he blinks his eyes, looks somewhere else avoiding a direct eye contact, the way he talks with monosyllables or at most a prompting, 'you think so?' make him a bore in any conversation. He has good patience to listen and read you like a book (he never says this is a bad book or that a good book!). He prompts by asking several questions and even without your knowledge you are dragged into a conversation with him. You find him well mannered and you will like him much But, by that time Aquarian has finished reading your personality and discards you like used book. Such incidents with kumbha born are quite common. Yes, such rude behavior hurts. Of course, you can renew your contacts and he would not object to that. The sign is known by the picture of a man watering the plants. His idea is to learn or teach. In every aspect of life, he wants to give to society and also learns from the society. He is very curious to learn - you may find him talking technical with road diggers. He reads the newspaper fully, reading in between the lines. He is a good judge of personality but when you ask his opinion about a common friend, at most he would say, 'he is a nice man'. The kumbha born does not expect that everybody should be like him and accepts the mankind as it is. You can find him with a rich farmer or even a poor man discussing something seriously. As he values the brain power, he does not respond to deliberate attempts to switch off the brain like drinks and drugs. That means he needs a big dose to get intoxicated. Due to much of brain activity, misunderstandings, misguided adventures particularly in his younger days, lack of confidence or even betrayal by his family members, a failure in business may make him seek a large dose. During his early years, just for the sake of fun he would have done strange things. One rich kumbha born had done begging at a bus station to test his talents in acting! Another had run naked on Madras beach or fun of it! Even after 20 years of close friendship, you would not know him fully. He has such varied experiences in his life. He has excellent memory for people and places. He selects his close people. He has order in life. You should be special person if you are regarded a close friend by an a kumbha born. He is very slow to react, speaks as if he is fishing for words. Sweet speech, good handwriting, well organized office are his specialties. He does not live in this present but will be swinging between future and past. Before he talks anything, he will come up with quotes, anecdotes from scriptures or great novels. Similarly, he can tell you about latest scientific developments. It is said that an Aquarian of ordinary intelligence is ahead of his generation by at least fifty years. 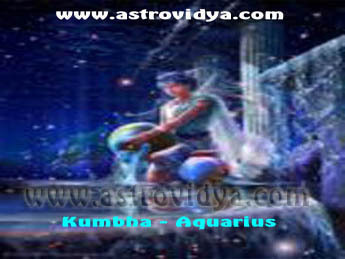 Aquarius (kumbha) person is philosophic in nature and has intuition. He will shine in any profession. Judiciary, journalism, humanitarian organizations are best suited for him. He has a lot of team spirit, yet lacks the organizing capacity. He is a loner who wants to go out alone once a while. He does not enjoy pomp and show. Though he looks cool and calm, when overcome by emotions, he would hug his wife or cry in the full public gaze. Quite quickly, he will recover and his face looks glassy, devoid of emotions as earlier! When not evolved properly (either due to misadventure or bad or undesirable sort of company/upbringing), this tendency will turn out to be escapism. When you see a drunken man lying on the road at mid-day, all possibility he is Aquarian. The fellow who has quite the job and is depending on his wife's income is by all means an Aquarian. Young Aquarians should be away from drinks and drugs by a furlong at any stage in his life. He has persistent nature and any hobby/habits will run for ages. Aquarian has a lot of frustration in his life - as he does not disclose his thoughts or plans to any one. This is one of the reason he prefers drinking. ; The acrid smell of liquid keeps him away as he has strong dislike for such smells but enjoys fresh smells in air. Agarabatti (incense sticks) industry is flourishing because of him! He has moderate longevity. An Aquarian has struggle for any achievement - the success and opportunities will not come easily. Yet, he enjoys such struggles. But during old age, he desires to retire, he would like to visit pleasant places, temples. Yet, there will be a greater need for his services in his family or society. He is not financially a successful man. 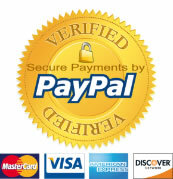 Till the advanced age, financial problems persist. He does not have much drive as he is pessimist. His success in achieved only due to his persistent nature. Aquarian boss is cool and composed, considerate, shoulders responsibility yet he depends on one or two for public relationship. Aquarius subordinate is quite dependable, honest, sincere but a bit dull headed. He refuses to think but does only routine tasks. Aquarius as a friend or as an enemy is dependable. He will never betray your secrets or turn against you for a thousand years. If you come across an unhappy man in his married life, you bet, he could be Aquarius by 90%. Similarly, if you see a brilliant orator, a sanyani, he is bound to be Aquarius. If his wife responsive, caring, he would have a good married life. Recognition for his deeds come late in life. He does not aspire for any one's recognition lore and so, they will not fall in love with any one. He is a family man and is very possessive. Betrayal by his own men will be punishable. He loves children but he is very strict. He is disliked by his co-workers for his straight forward behavior. He has ability to guide others in difficulty. One Aquarian was ready to do a suicidal jump when he found another man there. The Aquarian persuaded the man to give up such 'evil' idea, pumping a lot of will power, optimism and that man went away happily. Then the Aquarian jumped off the cliff! Aquarian gives hope, life happiness, optimism to others even if he does not find them in his life.